4652 Baldwin Street has a Walk Score of 80 out of 100. This location is Very Walkable so most errands can be accomplished on foot. 4652 Baldwin Street is an eight minute walk from the Expo Line at the Nanaimo Station Platform 2 stop. This location is in the Kensington-Cedar Cottage neighborhood in Vancouver. Nearby parks include General Brock Park, Slocan Park and Brewers Park. Explore how far you can travel by car, bus, bike and foot from 4652 Baldwin Street. 4652 Baldwin Street has excellent transit which means transit is convenient for most trips. Car sharing is available from Zipcar. 4652 Baldwin Street is in the Kensington-Cedar Cottage neighborhood. 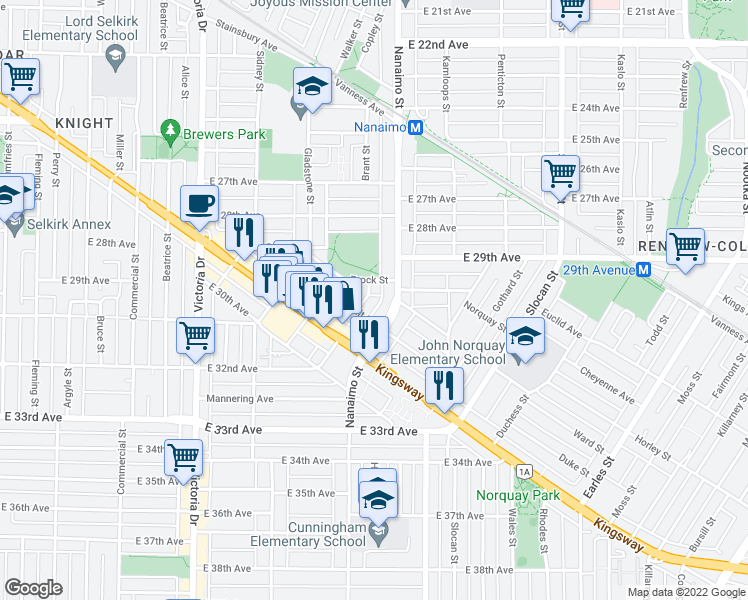 Kensington-Cedar Cottage is the 10th most walkable neighborhood in Vancouver with a neighborhood Walk Score of 76.